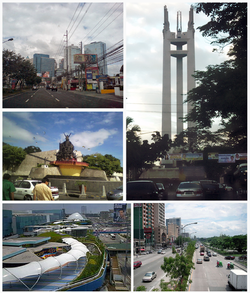 Home › News › Did doing business in QC from Manila pull down PHL’s rank in WB poll? Did doing business in QC from Manila pull down PHL’s rank in WB poll? Did choosing Quezon City over Manila to measure the ease of conducting business in the Philippines result in the Philippine slipping down two notches in the World Bank’s “Doing Business 2012" rankings of 183 economies this year? Not so, said Guillermo M. Luz, co-chair of the National Competitive Council, one of the organizations that helped the World Bank’s International Finance Corp. (IFC) to come up with the poll which ranked the Philippines 136 this year from 134 last year. “In fact, we pointed out to them that Quezon City would be more representative of other Philippine cities," Luz said. “Quezon City scored better than Manila the past year [June 2010 – June 2011] but unfortunately it was overtaken by other economies." In an IFC press release Thursday, it was explained that “the Philippines’ ranking remained virtually unchanged at 136 among 183 economies after 134 last year." A companion report “Doing Business 2012, Economy Profile: Philippines" points out that “Yearly movements in rankings… are always relative." “An economy’s ranking might change because of developments in other economies. An economy that implemented business regulation reforms may fail to rise in the rankings (or may even drop) if it is passed by others whose business regulation reforms had a more significant impact," adds the report. In other words, despite the Philippine economy’s incremental improvements in six out of 10 indicators (dealing with construction permits, registering property, getting credit, protecting investors, resolving insolvency, and getting electricity) measured in Quezon City, these were still not enough to offset the deterioration of the four remaining indicators (starting a business, paying taxes, trading across borders, and enforcing contracts) because foreign cities in other economies performed better and surged ahead. To assess such incremental changes, “Doing Business 2012" introduced the “distance to frontier" measure to gauge how far an economy’s regulatory environment advances or retreats to the “frontier" – which is based on the most efficient practice or highest score observed for each indicator across all economies and years included in the Doing Business surveys since 2005. This explains how despite narrowing the gap to the frontier, the Philippines still lost ground in five indicators which had improved but at much slower rates as compared to other economies. For instance, the Philippines’ rankings on construction permits fell four places to 102nd, getting credit still dropped 10 notches to 126th, registering property fell eight places to 117th, protecting investors down two spots to 133rd, and resolving insolvency dropped two spots to 163rd. “Doing Business in the Philippines 2011" — a subnational report released last year — compared the regulatory environment for business in 25 cities in the Philippines. Notably, both last year’s “proxy city," Manila, and this year’s Quezon City did not top that subnational survey. Among 25 cities, Quezon City ranked 12th as regards “starting a business," 22nd with “dealing with construction permits," and 17th with “registering property." In comparison, Manila ranked 17th as regards “starting a business," 13th with “dealing with construction permits," and 9th with “registering property." The report said the easiest places in the country to register property were in Valenzuela and Navotas. It also said that starting a business was easiest in General Santos, where it takes 22 days to comply with the 17 requirements for start-ups. Dealing with construction permits was easiest in Davao City, but more cumbersome in Manila. In an interview with GMA News Online, Luz underscored that improving the ranking of the Philippines requires improving in “not only one area of economic regulation but at least three or four areas" to make headway. Luz highlighted the need for the completion of the Land Titling Computerization project, lamenting that half of the land in the country had no title. He explained that this situation deprives the government of revenue from real estate tax and ties up real estate property that could otherwise be used as collateral for loans. “While the Philippines has passed several laws and initiated programs to improve its regulatory environment, it is imperative that implementation has to happen more quickly and in full," said IFC resident representative in the Philippines Jesse Ang in the IFJ press release. “In particular, improvements such as setting up the Credit Information Corporation and fully operating the Philippine Business Registry, have to be sped up to make a real difference for domestic entrepreneurs," he said. The private sector is pushing for the establishment of a fully secured Philippine Business Registry to facilitate transactions across agencies through a single online registration system. Also sought to be established was the Credit Information Corporation to facilitate access to formal finance and sharing of credit information. For her part, World Bank acting director Chiyo Kanda scored as “very significant" the adoption of the Financial Rehabilitation and Insolvency Act (Republic Act No. 10142). “Accelerating reforms to further simplify requirements for opening and closing business will unleash the power of small and medium enterprises to create more jobs and reduce poverty in the country," Kanda said.